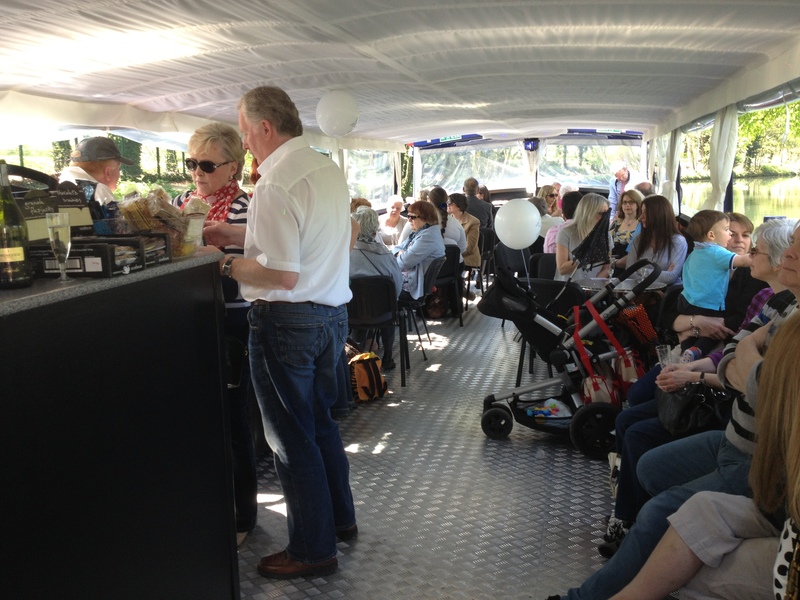 You are here: Home>Topics>The new water bus service from The Lee & Stort Boat Co.
A busy day on the Water Bus! 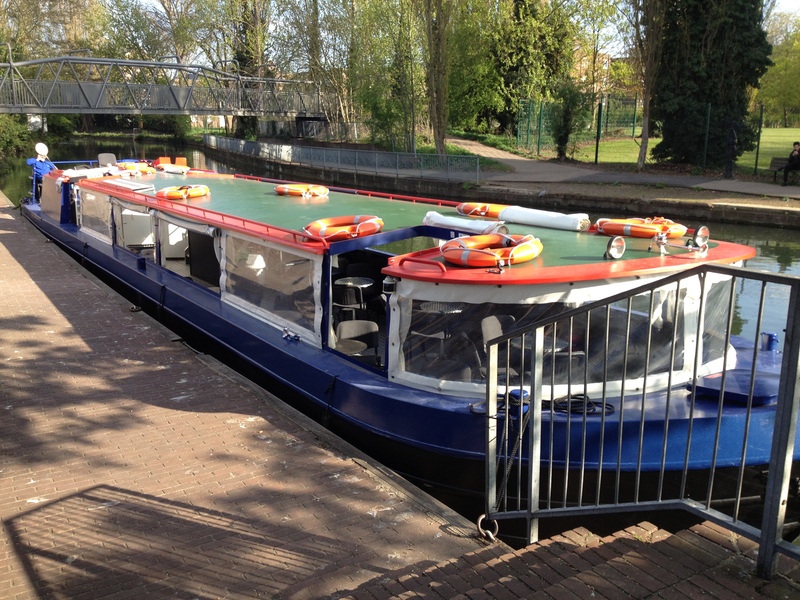 The Lee and Stort Boat Company are operating a new water bus service between Ware and Hertford every Saturday, Sunday and Bank Holiday. Fully licensed bar and refreshments on board, two toilets (one disabled) and space for up to 60 passengers. Children of all ages welcome. Room for buggies, bikes and dogs subject to space. This page was added on 11/06/2013. How on earth can it possibly take 90 minutes to get from ware to hertford!!. is some one pulling it from the tow path??. 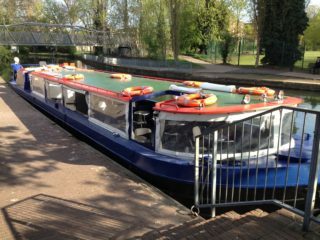 River Lee, Lea, (or Ley) ?